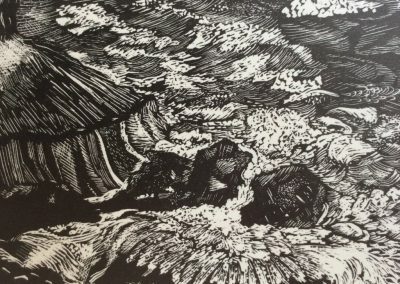 I am a printmaker working in a variety of printmaking techniques. 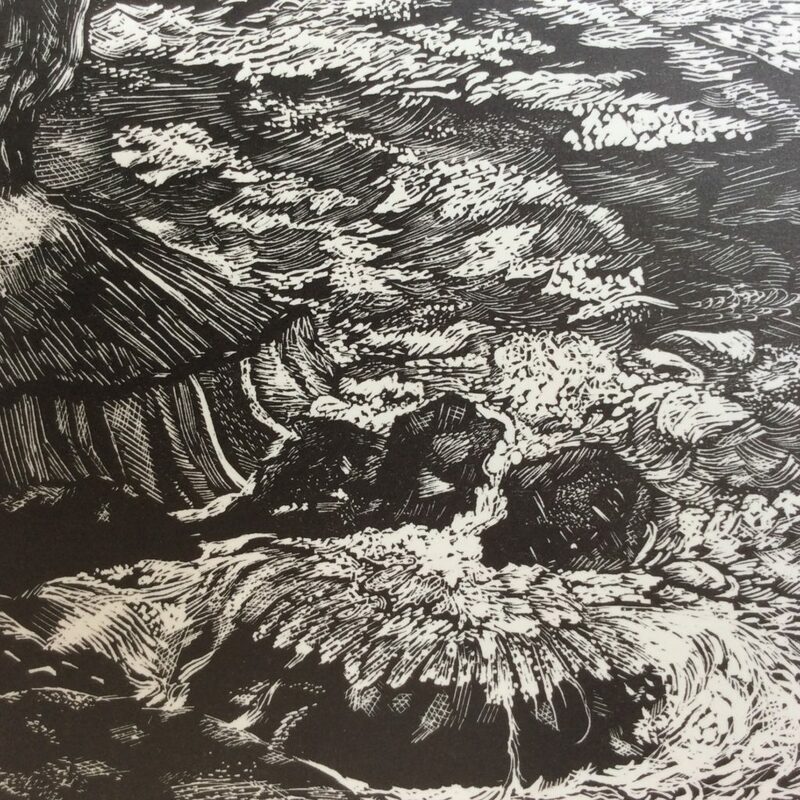 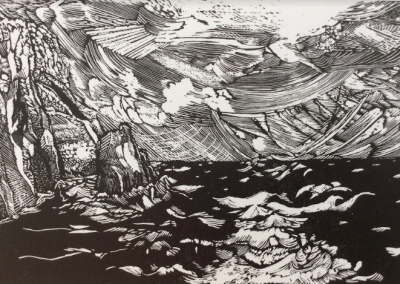 Although in the past I have worked extensively in lithography, in recent years I have concentrated on making collographs alongside a continuing practice in wood engraving, regularly exhibiting with the Society of Wood Engravers. 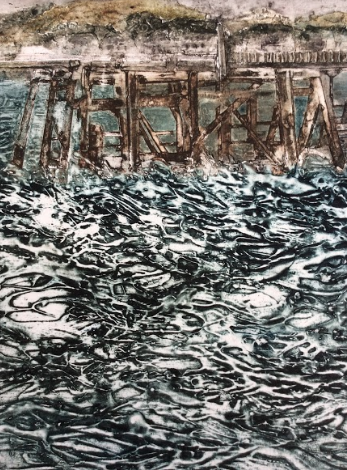 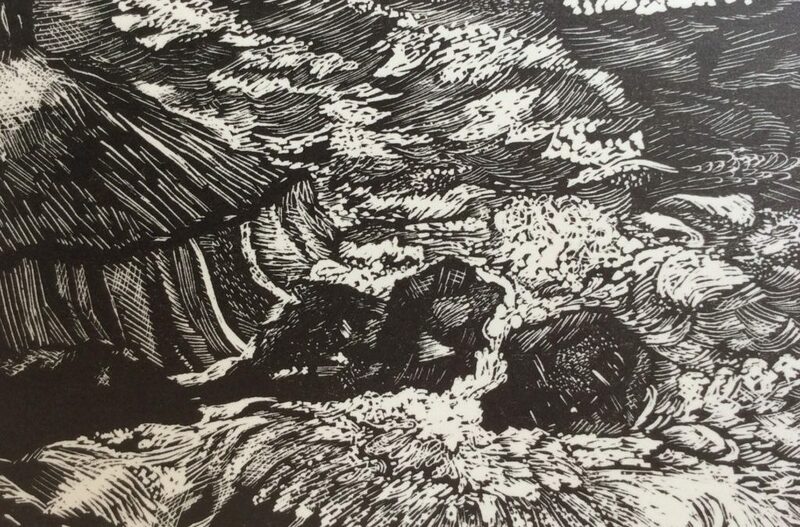 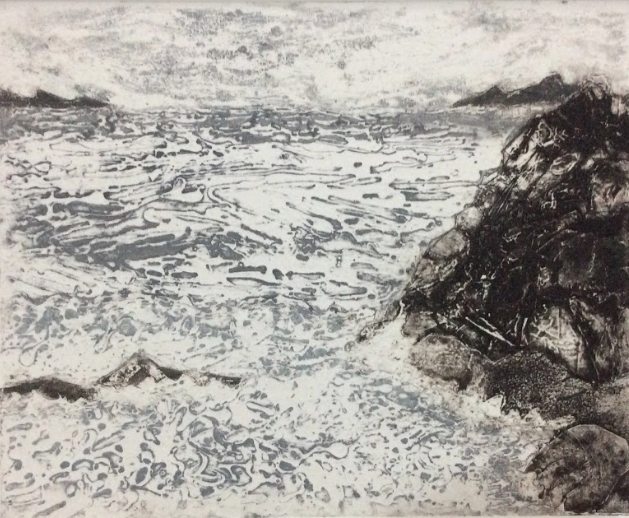 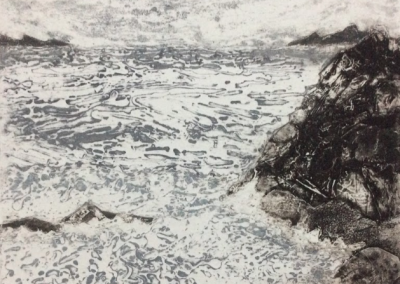 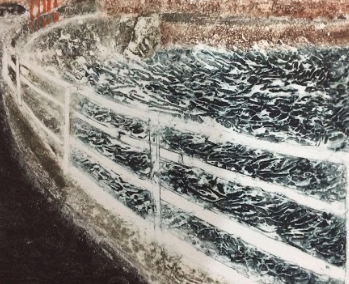 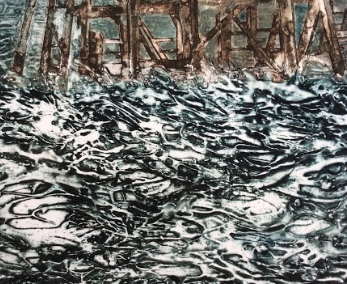 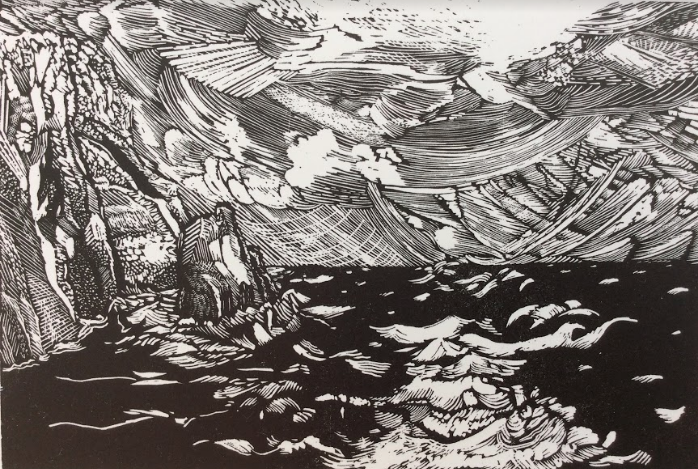 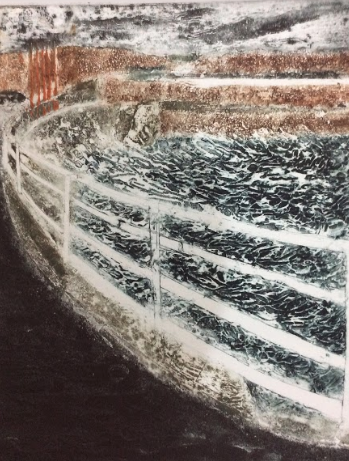 In my printmaking I am primarily concerned with expressing the fluidity of water, particularly the sea, and how this movement is effected by collision with the beach, rocks and cliffs.